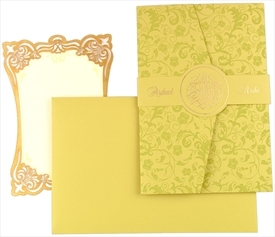 The main card and pocket have self-printed floral pattern all over. 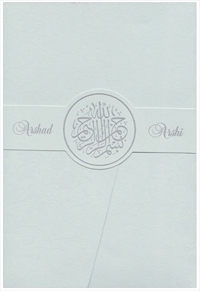 A band with “Bismillah- Ir Rehman Ir Rahim” symbol and the names of bride & groom adorns the front. 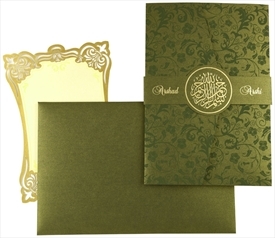 The symbol means, “In the name of Allah, most gracious, most compassionate”. 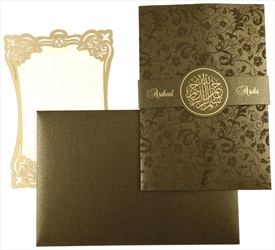 The inserts are also designed with laser cut border. 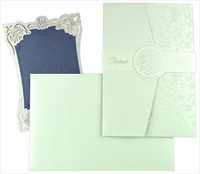 One is pasted in center of card and another is kept loose in the pocket. 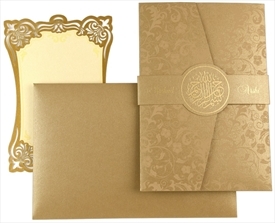 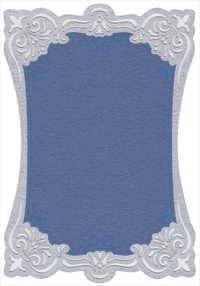 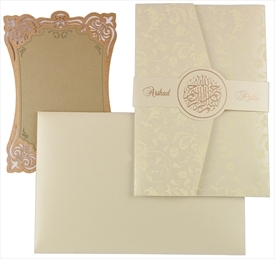 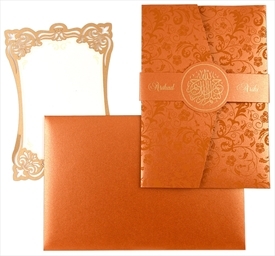 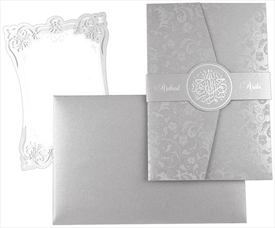 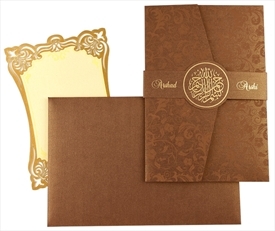 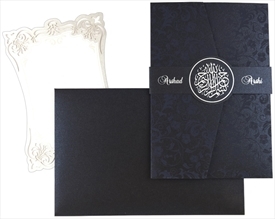 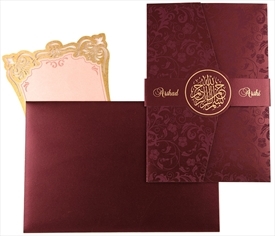 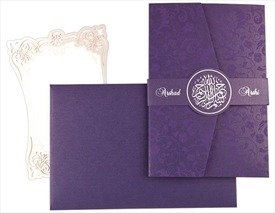 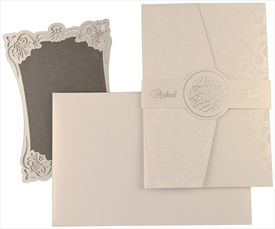 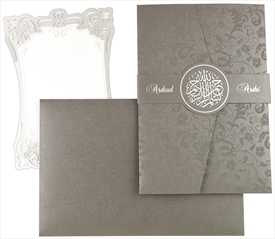 This is a graceful wedding card that will add luxury to your invite. 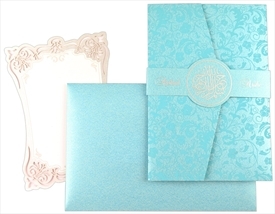 Shimmer light blue paper for main card, inside right paste-up as pocket and envelope. 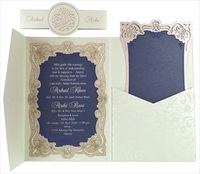 2 blue paper (250gsm) inserts.